How should property managers deal with mold that affects air quality? How can they create a healthier indoor environment for their tenants? The key is to have a “green” professional perform tests and offer solutions. 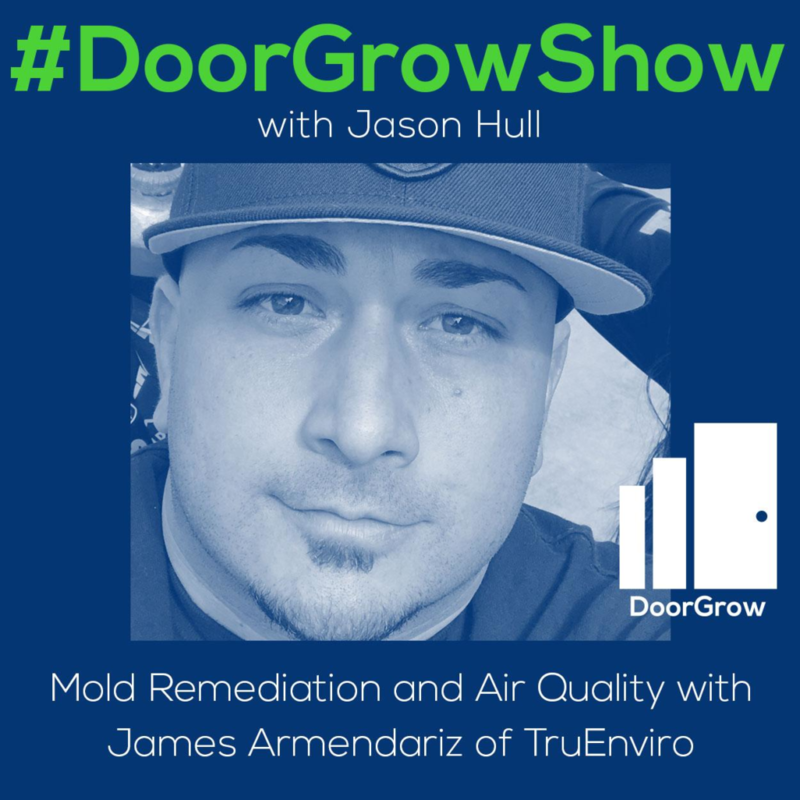 Today, I am talking with James Armendariz of Green Home Solutions TrueEnviro. He shares a new perspective on how to handle molds and odors, as well as add healthy bacteria into the environment. [03:23] Property managers usually try to get rid of mold by spraying a porous surface with bleach, which is 99% water that continues to feed the mold. [04:30] Property managers often have to deal with odors left behind by tenants, including cannabis, cigarette, cat urine, and other smells. [05:55] Painting cigarette-stained walls or using bleach only masks or covers up smells temporarily; TrueEnviro eliminates odor molecules from the environment for good. [06:42] TrueEnviro removes allergens, pathogens, mold, odor, and bacteria to maintain and establish a healthy, indoor environment that smells like fresh air. [07:33] Eat Dirt: Shift balance toward beneficial bacteria vs. bad bacteria. [08:37] Good or bad, bacteria seeks a food source; TrueEnviro’s probiotic service eliminates food source that bacteria thrives on. [10:09] Tenant may not pay rent due to illness and environmental factors that impact their ability to work and generate revenue; take action to decrease sickness, turnover. [11:22] People travel from all over to India to drink water from a river that’s viewed as magical because of its strong flora of healthy bacteria fed by waste and sewage. [12:48] TrueEnviro’s mold remediation product is Oceanic, which kills every pathogen and fungi; it has earned approval for use in hospitals. [15:02] TrueEnviro can remove less building material, if it’s not structurally compromised; instead of cutting mold out, the company cleans it to reduce client’s costs. [15:46] Pre- and post-tests are conducted to obtain results and protocol for treatment. Jason: Welcome DoorGrow hackers to The DoorGrowShow. If you are a property management entrepreneur that wants to add doors and expand your rent roll, and you are interested in growing your business and life, and you are open to doing things a bit differently, then you are DoorGrow hacker. At DoorGrow, we are on a mission to grow property management businesses and their owners. We want to transform the industry, eliminate the BS, build awareness, expand the market, and help the best property managers win. If you enjoy this episode, do me a favor. Open up iTunes, find the DoorGrowShow, one word, subscribe, and then give us a real review. Thank you for helping us with that vision. I’m your host, property management growth hacker, Jason Hull, the founder of OpenPotion, GatherKudos, ThunderLocal, and of course, DoorGrow. Now, let’s get into the show. Today’s guest we have James Armendariz from Green Home Solutions TrueEnviro. Did I say all of that correctly? James: Yes sir, you did. Jason: Welcome to the show James. James: Outstanding. I appreciate it Jason. How are you? Jason: I’m doing great. You and I connected briefly at the Los Angeles NARPM Chapter. I was there presenting and speaking. They brought me in to speak, you were a new member there or something, and you got to do your little presentation. I think I handed your card and said, “Hey, let’s get you on the on The DoorGrowShow and showcase what you guys do.” I would love to get a little bit of background just on you. Tell us a little bit about who James is and how you got into this. James: Yeah. Our company’s called Green Home Solution TrueEnviro. My name is James Armendariz, I’m one of the owners, franchise here. I just got into the opportunity to own a franchise, really control our own path, help people managing, and create a better way of life, a healthier indoor environment. Jason: We’re going to be talking today about mold remediation and air quality. What challenges have you seen that property managers are dealing with related to this that your company help solve? James: Well, that indoor environment. You turn up mold, you have some sort of water intrusion come in that may not get dried out in time. We had a client report it, threw some towels over it, and thought it was good, but mold grew. Somebody was reporting […] or something like that. It’s really a pesky situation that tenant, property manager, landlord situation and if you can have somebody who can come in and provide testing and solution for that mold, or whatever the case may be, certainly in a timely manner, with the green background, it’s a great solution for property managers. Jason: What do property managers typically do to try and take care of these problems? James: Well, some of them, Jason, they throw bleach on it. One of their first things is to have a maintenance guy go out, spray it with bleach, and hope that it’s taken care of, when in all actuality, bleach is 99% water. The water content absorbed into that porous material, essentially feeding the mold and then bleach does what it does, it kills the color on the surface and they think it’s gone, only to come back two or three weeks later and say, “Gosh, this mold hasn’t gone away. It’s back.” Well, it never really left. You just got it embedded, stole the color and that’s a lot of […] to take care of the mold for you. Jason: Bleach is not the best strategy for dealing with molds. James: No sir. Only on a nonporous surface. If you’re dealing with bleach in a fiberglass shower that’s hard, that’s not going to absorb water or anything for that matter, certainly bleach is best. If you’re dealing with anything that’s a porous surface, you do not want to use bleach. Jason: What are some other challenges that you’re helping property managers with besides just the mold situation? James: Odor is certainly relevant in a property manager’s life. You have somebody moved out, they lived in that unit for several years or whatever the case may be, and there is an odor left behind. They know walking in to do that evaluation after somebody’s moved out, “I am not wanting this unit with that smell attached to it,” so they give us a call and there’s the four C’s, cannabis, cigarette smell, cat urine, and gosh I can’t remember the other one we had, but those are some very pesky odors and were able to actually eliminate all three and other one. Seriously, the tough smell would be […] from the cabinets, but those are some tough odors we can get rid of, and we’ve got a very efficient and affordable way to remove those from the environment. Jason: I was going to ask about smoking, that’s a tough one. You’ll come in and you use your materials or your systems and you can remove these odors in the property. Then we’ll be able to rent much more easily. Rent for a higher dollar amount, most likely, than if it had these potential problems scaring off prospective tenants. Jason: What do property managers typically do to deal with the odor things? What are they trying to do on their own? They might have their own little ozone machine. What are they typically doing and how is it different than what you guys might provide? James: Generally, we’re trying to take care of things the most efficient way possible as far as money involved. I’ve seen everything from people try to paint over orange cigarette stained walls, hit it with […], bleach is always a go-to whether it’s mold or odor. Those are some of the ways they’re trying to but it’s really just masking it or covering it up. It’s a band aid. We have a way to go in and eliminate that odor molecule scientifically, removing it from the environment and leaving behind nothing, just that smell of a fresh unit. Jason: Mold, odor, does that cover the bulk of what you guys do? Is there is some other things that Green Home Solutions TrueEnviro will help with? James: Yeah. We’re able to remove allergens, pathogens, mold, odor, bacteria. We’re really able to help maintain and establish a healthy indoor environment. We have different services that we can offer. One of the things we’re most excited about is our probiotic treatment and […] machine. What that does is just flood an environment with healthy probiotics, creating the healthiest microbiome possible. Jason: That sounds really interesting. I read this book called Eat Dirt. The author of this book was talking about the benefits of having healthy bacteria and how all these things that we do to try and kill bacteria, create an environment that doesn’t allow for the healthy bacteria to remain, and even in environments that we might consider dirty or unsanitary like subway systems and things like this, there’s this organic or this healthy biome that exist, that maintains this healthy stasis of bacteria. The bacteria is always going to be there, so if you can shift the balance towards healthier bacteria versus bad bacteria. In the book, he even talks about literally not maybe eating dirt or different types of things that expose you to beneficial bacteria, or allow your kids to be exposed to bacteria in ways that your immune system can develop and stuff like this. This is a really interesting idea to spread probiotic. I haven’t heard too much about that. I doubt there’s too many property managers spraying pro bacterial sprayers, whatever, throughout a unit. What are the benefits of putting probiotic into a building or into a unit? How’s that become a thing? I find that fascinating. James: Good or bad, a bacteria is looking for a food source. If they have something to thrive on, it can swiftly take off. If you imagine for example the air ducts. The air ducts along any indoor […] whether office or home, it’s really circulating good, bad, indifferent bacterias, particles throughout the home. If we can eliminate that food source that a bacteria will thrive on by flooding that environment with good probiotics, there’s really no way that that bad bacteria whether it’s staph, MRSA, whatever it is, can thrive and really take off an environment. This also means allergens, pet dander, all of these things are sources of food for good or bad bacteria. When something in an environment is completely overwhelmed with those healthy probiotics, there’s really no chance for a bad bacteria or any sort of infection to take over the environment. Jason: I would imagine one of the leading reasons why a tenant may end up not paying rent or suddenly is not able to pay rent might be due to illness, sickness, things that have affected their ability to work, and generate revenue. By having something like this in place, I would imagine that the property in general, I would imagine there would be some stats over time that would showcase the properties that have this treatment done if it works effectively, but they would then be in a situation which they had a lower sickness, or a lower turnover rate, or a higher instance in paying rent. James: Yes, exactly. The other thing that people lose sight of is that a lot of odors are contributed to bacteria. If you think about that, a moldy sponge that sits on your sink, after a few days, that thing will start smelling. It’s due to the bacteria. Not only is it going to help create a healthier environment, but it’s going to cut down significantly on things that are lingering around. Jason: Another interesting case that kind of connects to this just in my mind is, there’s this major river in India. In India, people are just putting their waste material into that, they’re putting all kinds of stuff, but the water is clean. It has this flora of bacteria that’s so strong and powerful in it, it’s a good bacteria that it just feeds on any sewage, or soil, or any stuff that comes into it, and it’s able to transmute it basically into something positive. People will travel from all over just to drink this water. In India, they view this water as magical or amazing, because it’s got this really strong flora of healthy bacteria. It’s fed constantly by waste and stuff that we would normally find would destroy water, but it’s because the bacteria is able to convert that, and it converts it really quickly and effectively. I find that fascinating. We’ve covered the odor. We’ve covered the probiotic stuff that also can help with odor remediation, removing mold. Is there anything else that we’re missing here? James: No. That indoor environment, allergens, pathogens, those are all encompassed in that indoor environment. The products that we use are really what separates us from our competition. The mold remediation product is called Oceanic. It’s been fully vetted by the EPA. By fully vetted, I mean, they put this thing through 570 individual tests. Within 10 minutes, it killed every pathogen and fungi, mold being a fungi, earning an additional approval for usage in hospitals. How safe is it? How effective is it? So much so that they will use it in a hospital. This product, we apply it as a bomb, on the surface and in the air and it will remove the mold and mold spores, not only from the surface, but within that air quality, and that’s the problem. Just because you see a mold and you cut out mold and remove it, doesn’t mean the mold is gone. It already put spores into the […] and that it. What you can’t see that is going to cause a problem, somebody gets sick or whatever the case may be. Now the property manager or landlord is dealing with the situation and really want to know about it. Jason: Yeah, it makes sense. That’s this Oceanic product. That’s part of why you’re called Green Home Solutions. It sounds like these are all products that have been tested safe, they are largely green solutions that are friendly to the environment, and they’re safe to be around humans and pets, correct? James: Yes, that’s correct. The Oceanic is a plant-based enzyme, it’s catalytic in nature, it’s whole purpose in life is to kill mold source. The difference also is that you can go out and kill a mold source, but that can still cause an allergenic threat, or cause somebody to have an asthma attack. Our enzyme, what it actually does is breaks down the three protein layers that make up the mold source and break it down and leave behind a […] thus removing that mold source completely from the environment imposing absolutely nobody any health concerns. That’s really what separates us from our competition. With that being said Jason, we’re able to remove less building material. Just because something has mold, we’re not cutting it out. As long as it’s not structurally compromised, we are going to clean in place, which means a tremendous savings. That’s really why people enjoy us. We’re green, safe for everybody that lives in the environment, and we’re saving your home. Jason: Right. There’s nothing destructive about it and you’re not having to replace as much. I love it. What are some of the main questions besides the safety of the product, besides what you guys do that potential clients have questions or concerns about, that we maybe haven’t covered? James: Well, one of the concerns that we see is, we need to have testing. “I see it’s mold, you’re telling me it’s mold, why do we have to do testing?” The testing is so important because we need to understand the scope of the job, how much of the air, if at all, has been affected? Without a firm understanding of that, we can’t properly treat that environment, and do a clearance test saying, “It’s clear to go […]” the mold level is down to a healthy state and tenants are safe to be in that environment. I cannot give you that guarantee without proper testing, done. It’s really not worth it to cut the corner and say, “I’ll skip the testing, just please take care of the mold.” We’ve got to do testing so we can provide the proper protocol and give every […] that that environment is […]. Jason: Alright, so part of what you do as part of your process is you’ll test the before and you’ll test the after so that you can verify with confidence that there’s a difference. Whether it goes to marketing or any sort of product or service that you’re using, you want to be able to showcase or prove that there’s been some sort of change, because that’s why a product or service exists, it’s in order to impact some sort of change. James: Yes. The testing, we’ll do pretesting. The conflict of interest to verify our work. We have a third party that does that, but we’re not done until the test, the client’s test shows what […] to show. Jason: You don’t even do the testing yourself. You use an independent third party to do the testing to verify the results and where they’re at. James: The post testing. We will do the pretesting. Use whoever you need to know for testing, but things you should consider, what protocol do they follow. I’ve seen people walk in with a petri dish and say, “We’re going to leave this here for a certain amount of hours and if it turns whatever color, you have mold.” Well, we’re […] well of course it’s going to show whether there’s mold, what kind of mold are we dealing with? Is it a waterborne, watery mold, or is it just common mold spores that are out there right now that we are breathing in? That petri dish isn’t going to tell us something. What protocol are you following and then who are you sending this to. Make sure that the lab’s accredited. Worst case scenarios, somebody ends up having to […] and come to find out the lab wasn’t accredited at all and now we don’t really make a stand on it, if you will. Make sure that that lab is accredited. Make sure that the protocol is on point where it needs to be, and that will give you peace of mind that the job has been done perfectly. Jason: Fantastic. Now you guys have a franchise location in California, you target the LA market, and maybe you’re expanding out from there. How can people in that market get a hold of you and how can people get a hold of you if they’re outside of that market. We’ve got listeners all over the US. How can they get in touch with the corporate entity? James: We cover all of Southern California. If you’re in Southern California, you can go to trueenviro.com and look us up. But for anybody anywhere in the country, go to greenhomesolutions.com, type in your zip code that you need […] the proper channel so that it fits your assessment, you get your problem taken care of. Jason: Awesome. James, thanks so much for coming on the show. I appreciate you sharing with everybody maybe a new perspective on dealing with mold, dealing with odor, and even adding healthy bacteria into the environment. I think it’s been really interesting and I appreciate you being here. James: I appreciate you and the opportunity, Jason. Thank you very much. I hope everyone has a great day. Jason: Awesome. For every property manager that deals with order, you deal with these sort of situations, and you want to make sure that a property is safe and healthy, because you care about the families and the people that you’re putting into these homes, then if you’re in California you can check out trueenviro.com. If you are outside of Southern California, then you can go check out greenhomesolutions.com as James have mentioned. Those of you that are new to the show, make sure that you subscribe if you’re checking this out on YouTube or on iTunes. Make sure that you leave us a review. If you’re listening on iTunes, we would love to get your feedback and hear what you think of the show. It helps us out and motivates us to do more and to provide this free service to you guys. Also make sure you get inside our community at doorgrowclub.com and check that out. If it’s been a while since you’ve had your website done, or tested, or since you focused on your marketing, you may want to just test your website out, go to doorgrow.com/quiz and test your website. This will help you see your website through my eyes a little bit more from a marketing perspective, whether it’s effective at making you money and converting deals. You could potentially be missing out on tens of thousands of dollars in the future ROI every month from every deal that is being missed by your website not being effective. Check that out, test your website, and make sure to join our DoorGrowClub community full of awesome property management entrepreneurs. Apply to get in it, the group’s free, but you can get to that at doorgrowclub.com. Bye everybody. I appreciate you tuning in. Until next time, to our mutual growth.